Here is our Shule Haggadah for 2018 – you are welcome to use all or part of it for your family’s seder. It is a progressive family-friendly Haggadah complete with songs and poems, and contains passages in English, Hebrew and Yiddish. And please feel free to share it with others! In the past, Kinderland has held a Passover Seder for our community, but this has not been possible in recent years. This year, the KinderShule held a small Seder for the families of its students, which was a great success. 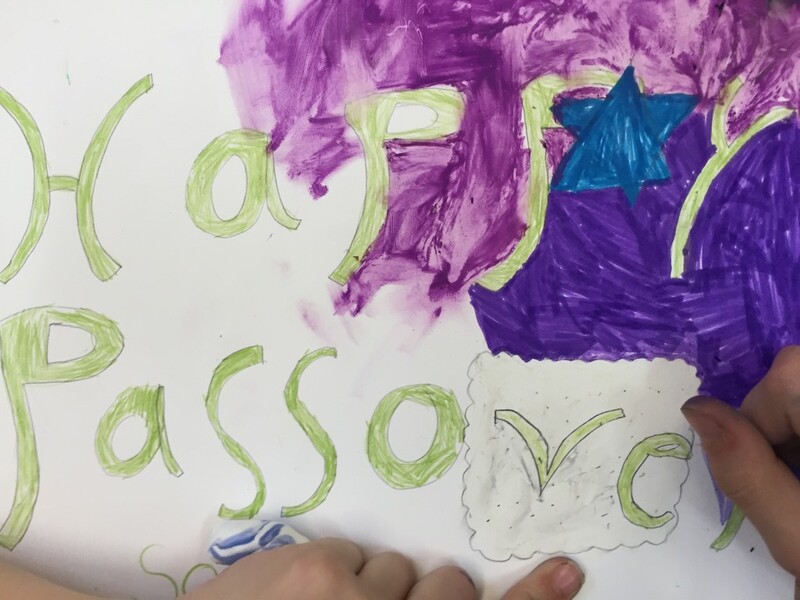 As usual, they used a special Haggadah, which incorporates the ideals and values that Kinderland espouses, including the hopes for peace and social justice in our world. Please feel free to use our Haggadah, or selections from it, for your Seder, and may you have a Good Pesach with your friends and family. If you think you won a Silent Auction bid at the 90th Anniversary event, but had to leave before the winners were announced, check these Silent Auction Winners to see if your auction number matches any of the winners. We have also emailed each individual to inform you of your winnings. To pay for your silent auction item online, CLICK HERE.